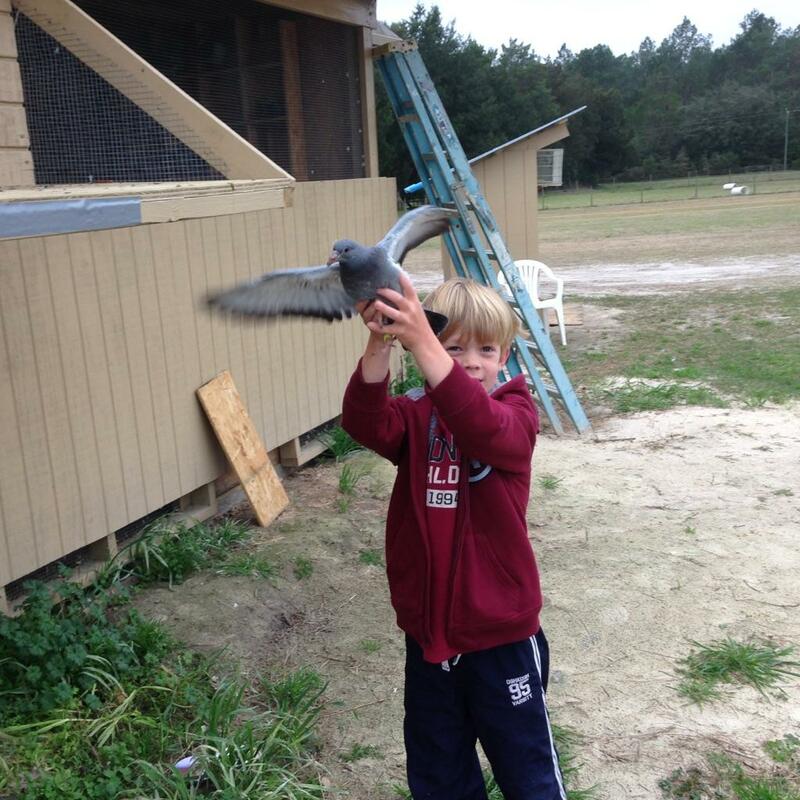 We just spent 2 weeks in Mayo, FL at the Suwannee River Rendezvous RV Resort. This was quite a change of pace for us since we hit the road. The first several weeks of our travels were so busy between moving, going to the rally, and spending time in Orlando with new friends. Although we have missed all of our new traveling friends, the past 2 weeks have been a good time to get caught up on school and work, and try to get settled into a new routine. Speaking of missing new friends, I have realized that one of the hardest parts of this lifestyle is all of the “good-byes”. After spending 3 weeks with some really good people in the Fulltime Families group, saying good-bye was really hard! I know we’ll see them again someday when our paths cross again, but it doesn’t make it any easier to say good-bye for now. 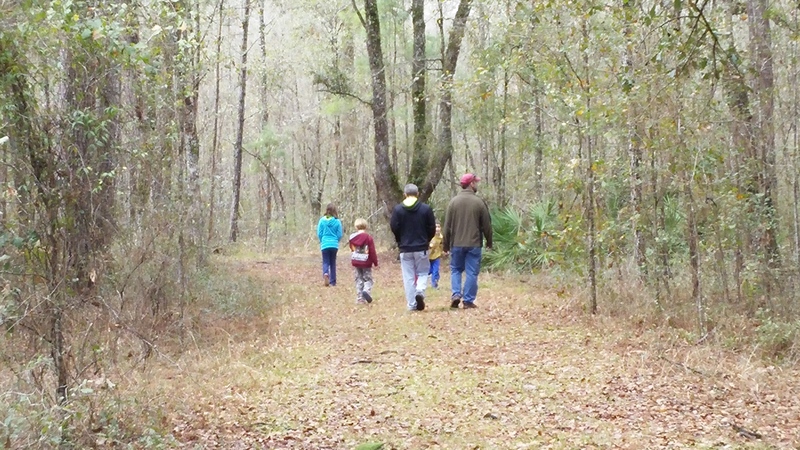 Suwannee River Rendezvous is a very nice campground. Very clean, super nice people and a great Verizon signal which is important for Chris and me to get our work done. 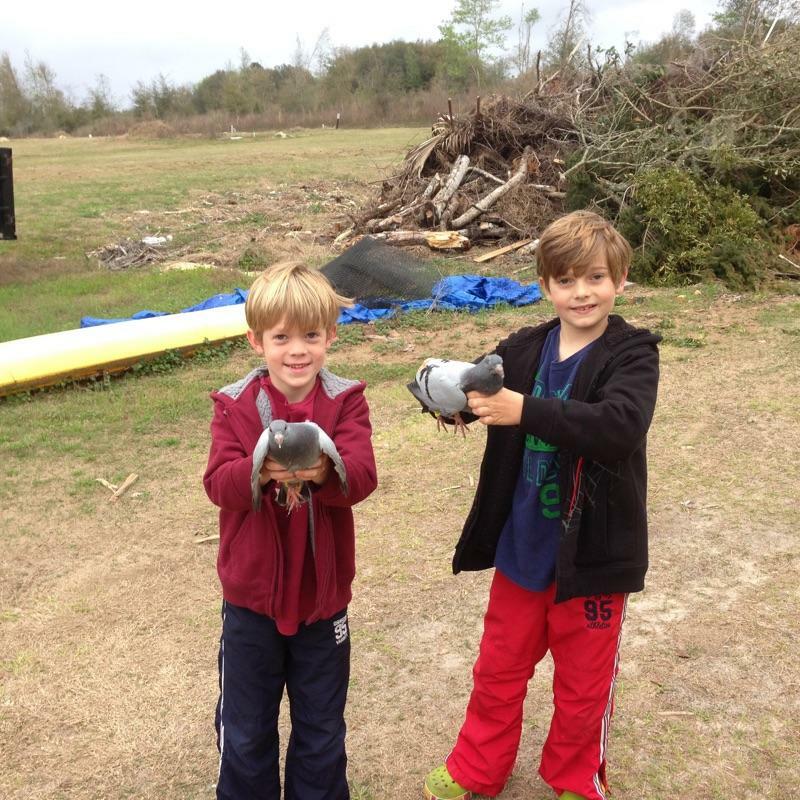 One of the owners is raising pigeons and he let Jake & Jesse come and see all of his birds and even hold some of them. We got to see some tiny babies that were just born that day, and some mother pigeons laying on their eggs. 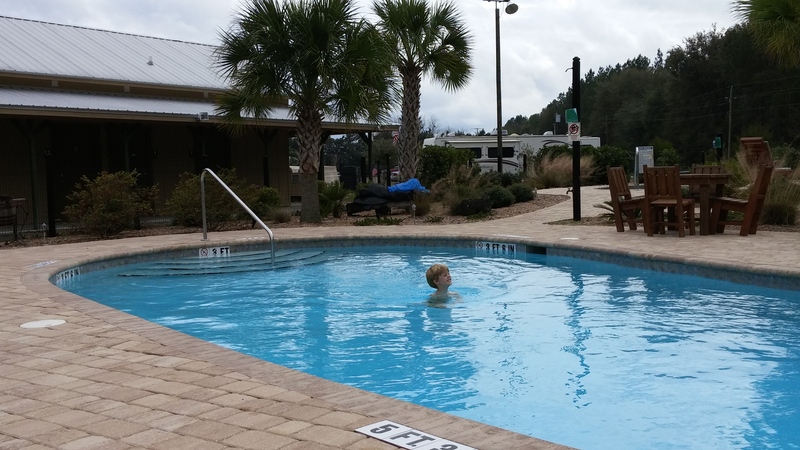 They have a very nice pool area at this campground, but most of the time we were there the weather wasn’t warm enough. Jesse decided to give it a try anyway. They have lots of activities at the lodge on the weekends like bingo, karaoke and sometimes they have a band play. While we were there some good friends of ours from home, the Norstrem family came to visit. 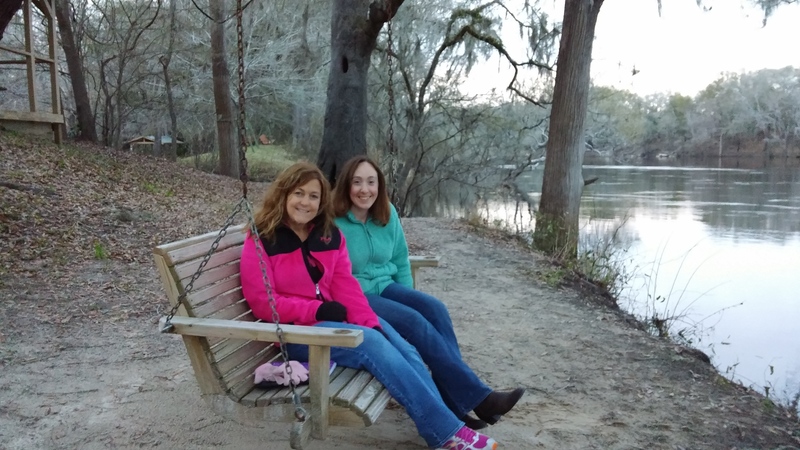 Here is a picture of me with Kelli sitting in one of the cute swings by the river. 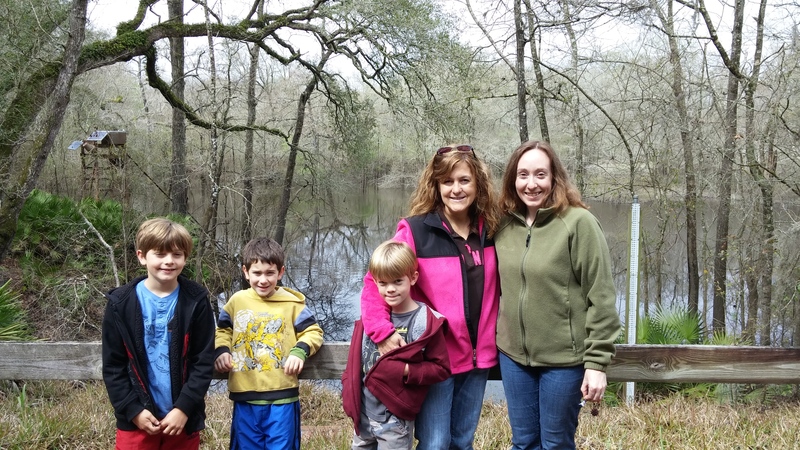 While they were visiting we went to Troy Springs State Park. During our down time at Suwannee River, the kids got to get started earning their badges for Fulltime Families Explorers. 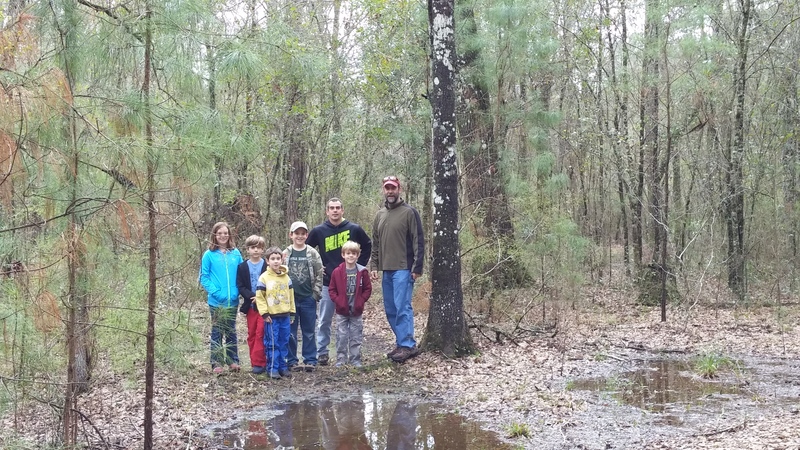 FtF Explorers is like a Boy Scouts for traveling families. 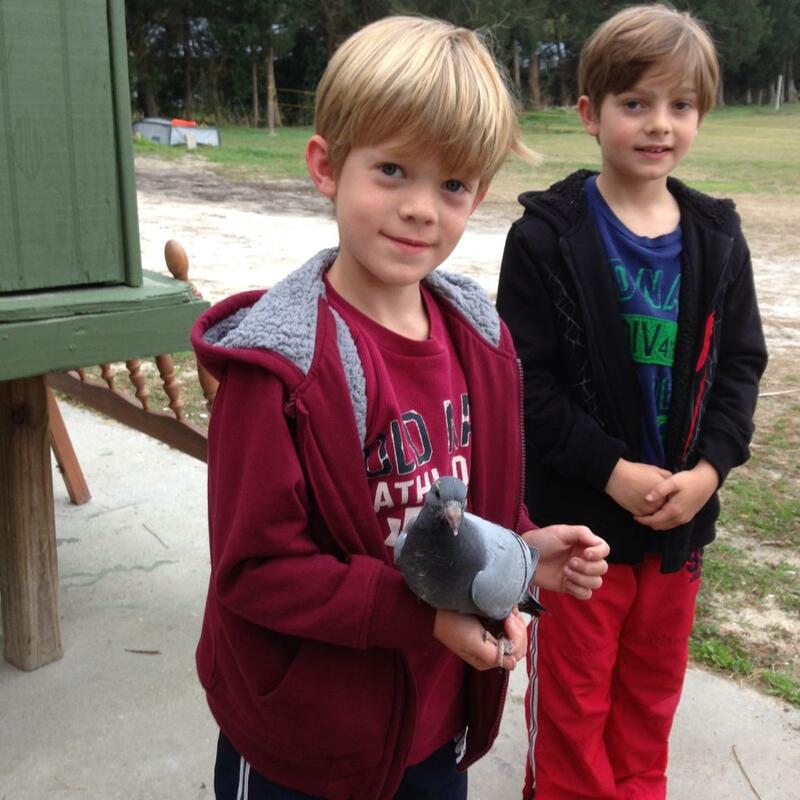 The kids earn badges for various activities like RV Maintenance, Pet Caretaking, Elderly Appreciation, Cooking, etc. They started on some badges this week, one of them being pet caretaking by taking care of Fat Cat. Jesse now feeds her and makes sure she has clean water, while Jake cleans her litter box and takes her for walks. 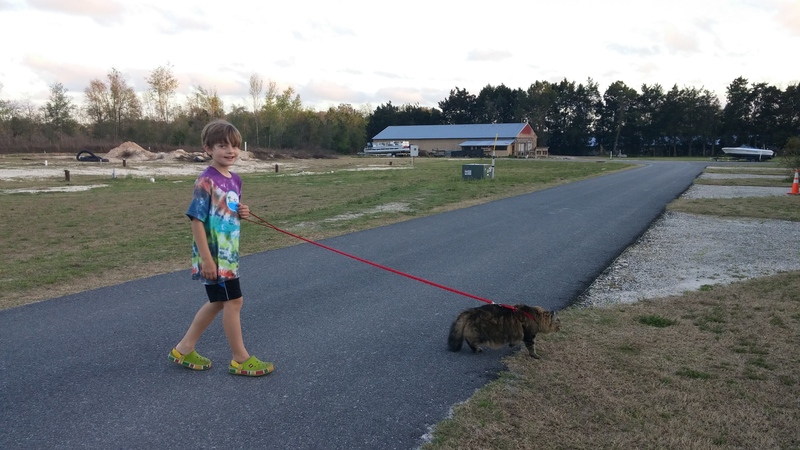 Yes, we take our cat for walks on a leash — we don’t want her to get too fat! Another thing we accomplished during our stay here is we went back to our house in Fernandina one last time to get the last of our stuff out of the house and get an inspection done. Our house is under contract to close on April 9th, so as long as all goes well, we don’t plan on going back to our house anymore. We will be able to take care of the closing on the road. Leaving our house for the last time was pretty emotional for me. Chris and the boys were outside waiting in the truck while I took one last look around the house to make sure we didn’t forget anything. I walked into what used to be the nursery and I remembered all the hours I spent in there rocking and nursing my babies to sleep. I walked into the boys’ room and remembered all the nights spent reading bedtime stories, saying bedtime prayers and singing them to sleep. I walked out to our back patio and pool area and remembered all the wonderful times we spent out there. I finally said good-bye and walked out to the truck. Of course the boys all laugh at me because I’m crying. They think it’s so funny that I cry about things like this. Anyway, I’m writing this from the truck as we travel down I-10 on our way westward towards our next destination. I am very excited about this new adventure in front of us. It is hard to let go of all those things from our past, but like I said in a previous post, I take those memories with me. And I look forward to making many more memories where ever the road leads.